Are you trying to improve your diet a bit? Are you concentrating on real nutrition that your body needs to function at it’s best? It is that time of year again that we start to take a look at how we much we are consuming and how it affects our general health. 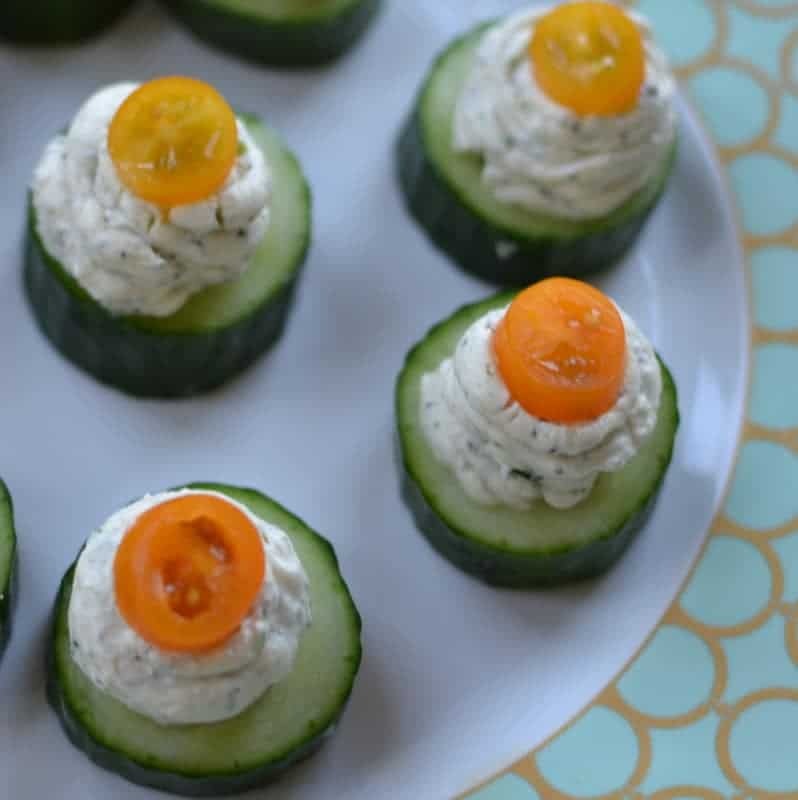 These Herb Cream Cheese Cucumber Bites are absolutely delicious and they are a treat that you can feel good about. 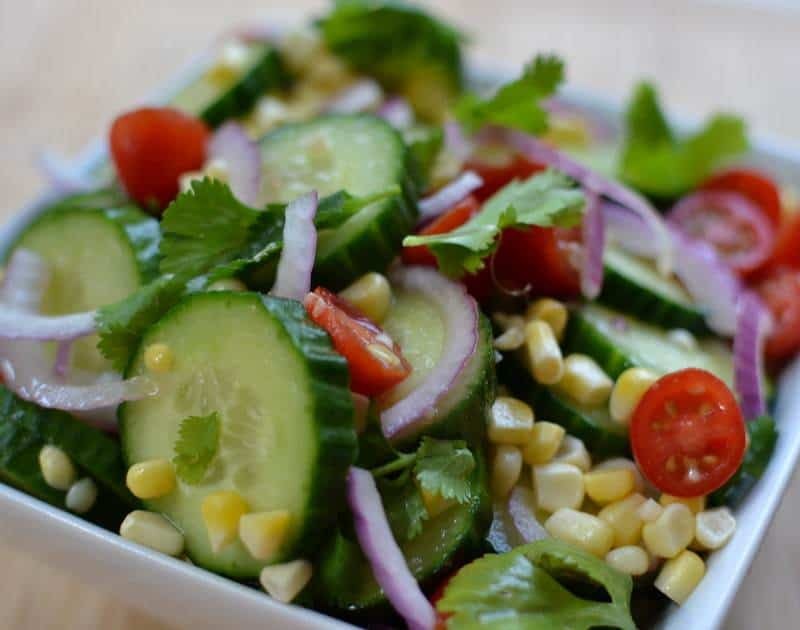 Cucumbers are great sources of vitamin K & B, copper, potassium, vitamin C, and manganese. Cucumbers also contain unique polyphenols and other compounds that may help reduce your risk of chronic diseases such as cancer. Not only are these little numbers healthy but they are absolutely delicious. 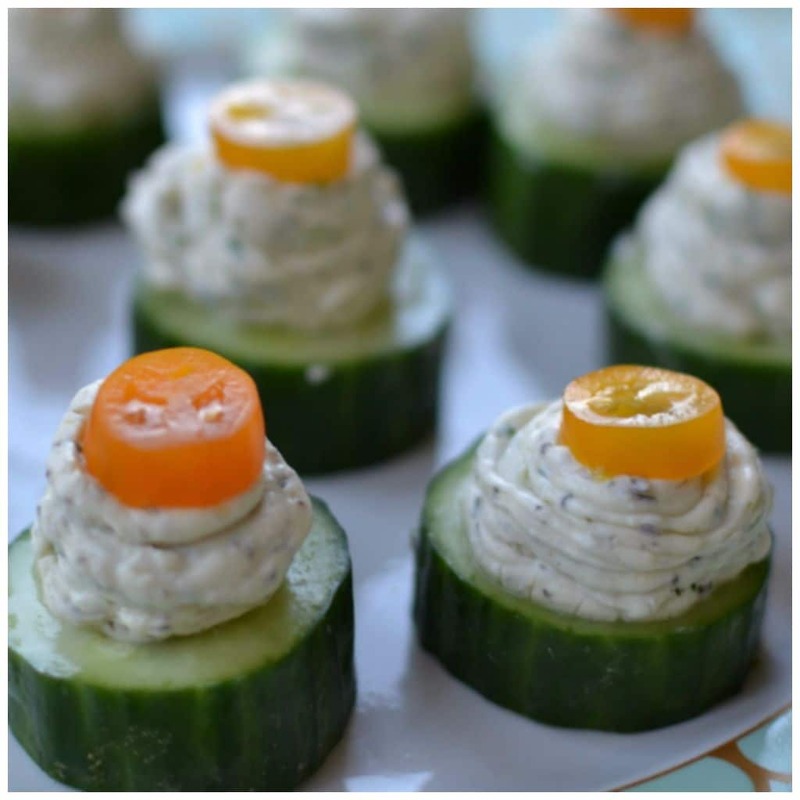 The cream cheese is the perfect blend of fresh garlic, fresh parsley, fresh chives and dill. Now I know what you are thinking…how healthy is cream cheese. We know that cream cheese is a high fat food but we need fat in our diet. Our body uses the fat we eat, and fats we make from other nutrients in our bodies, to provide the energy for most of our life-functions. We also know that fat makes us feel full and helps keep us from overeating. Besides that this herb cream cheese tastes divine!! 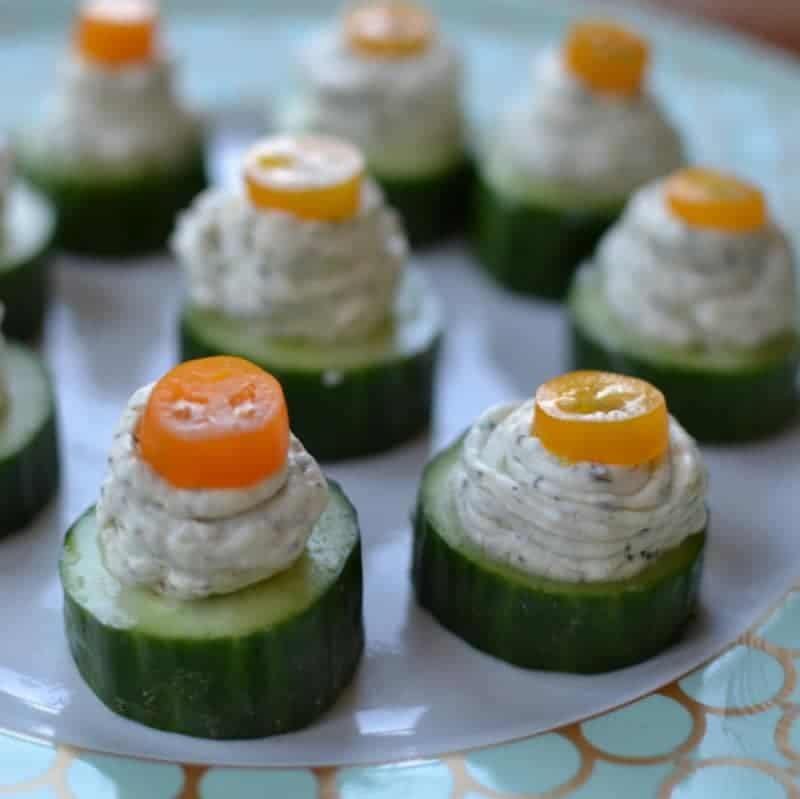 Herb Cream Cheese Cucumber Bites are so quick to whip up and your family and friends will love them. Whip up a batch for a game day or a light lunch! 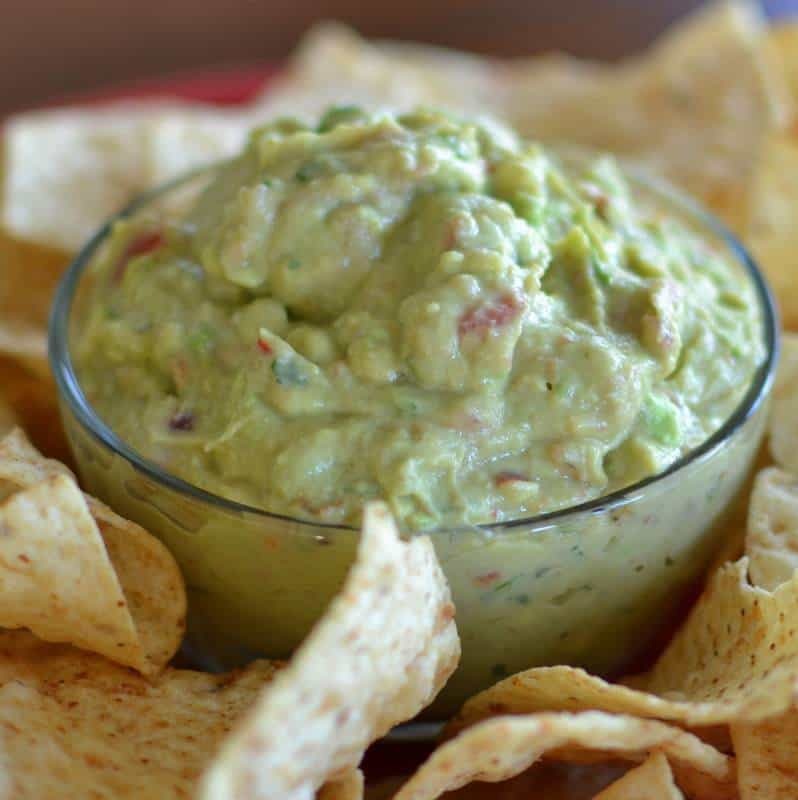 This is snack that you can feel good about and that tastes amazing! Using mixer combine cream cheese, onion powder, dried thyme, dried basil, dill weed, black pepper, garlic, parsley and chives. Beat until well mixed and creamy. 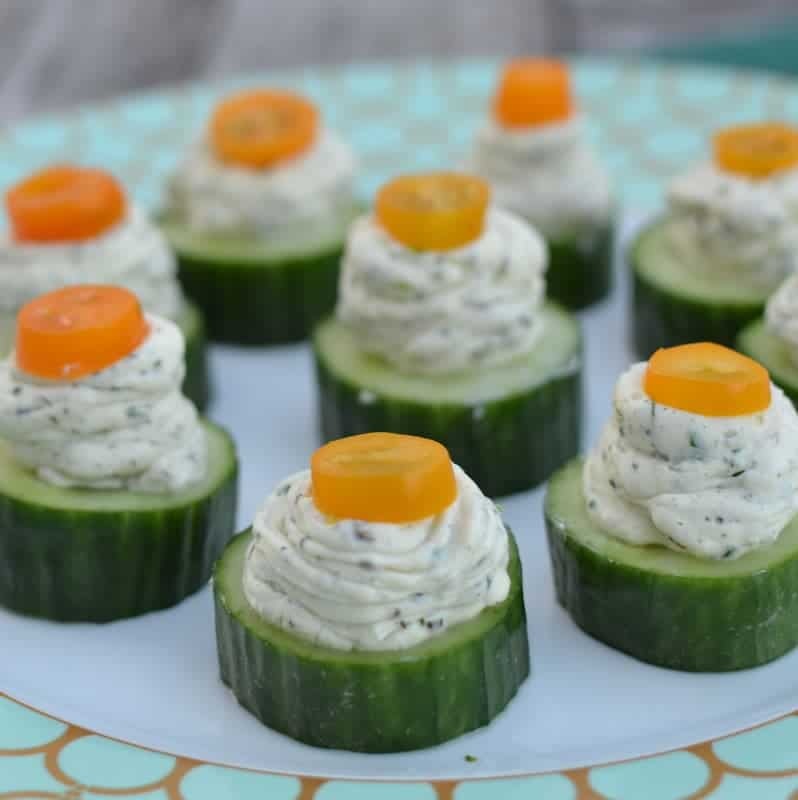 Pipe or spoon onto cucumber rounds. Top with sliced grape tomatoes or black olives.